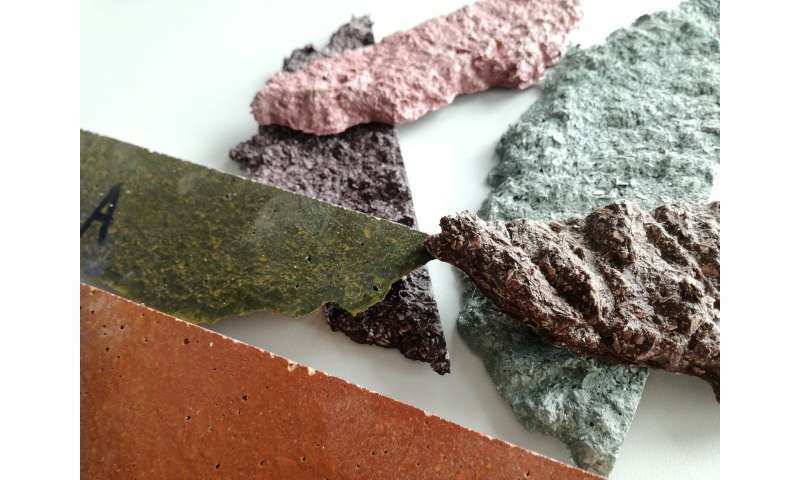 Dr. Kenny Vanreppelen, a renewable product researcher and founder of Belgian start-up Act&Sorb, set up the FibreCarb project to recycle waste fibreboard after becoming frustrated at being unable to recycle the material he ripped out while renovating his house. Waste from the construction industry accounts for around half of the 1.3 billion tonnes of solid waste that cities produce globally every year. This is roughly equivalent to the amount of material inside 4.5 million single-storey homes – enough to house almost the entire population of Belgium. Extracting raw materials and manufacturing new products for buildings, along with the construction itself, is also responsible for 3-6% of the world's energy use, as well as a significant proportion of its carbon dioxide emissions. This has led many concerned about the damage this is doing to the environment—and our economies—to look at ways of making better use of the waste that comes from the building industry. Act&Sorb is tackling one of the biggest culprits—medium-density fibreboard, or MDF, which is commonly used in the walls of buildings and in flat-pack furniture. MDF is largely made from otherwise unusable wood fibres produced as a byproduct of milling, which are combined with resin and wax, heated and pressed together. However, the glues used in binding make them difficult to recycle after use. The process developed by Act&Sorb uses a method known as carbonisation to heat the MDF to high-temperatures in the absence of oxygen, which causes it to break down into char and gas. The char is then heated further and processed according to customer specifications to create bespoke activated carbon. According to Dr. Vanreppelen, Europe throws away 11 million tonnes of fibreboard every year while, worldwide, more than 70 million tonnes are discarded. But making this waste useful is not just environmentally compelling: it currently costs around €50 to send one tonne of fibreboard to landfill, and the vast majority of MDF is dumped in this way. On top of the reduction in waste going into the environment and the financial benefits this brings, the market for activated carbon is also booming. But Dr. Vanreppelen said that the environmental benefits can go beyond decreasing landfill waste. The gas produced during the pyrolysis stage, when the material is being broken down at a high temperature, can be captured and used to power the process, removing the need to use fossil fuels. Using MDF and other forms of waste chipboard also reduces the number of trees cut down to supply the wood that is commonly used to make activated carbon. After a successful EU-funded trial run in Australia, Act&Sorb is now planning to build its first factory in Europe in 2020—and is also researching other waste flows it can tap into. The desire to upcycle commercial waste is a reflection of a growing realisation that our throwaway culture is unsustainable and it is prompting industries to move away from disposal or the gradual degradation and eventual landfilling of materials through traditional, repetitive recycling. Many industries are now investigating the potential of building a circular economy, where resources are never thrown out as waste, but instead are turned into another product when their initial use ends. One key way of achieving this lies in designing products that can be easily disassembled before being repurposed or repaired. 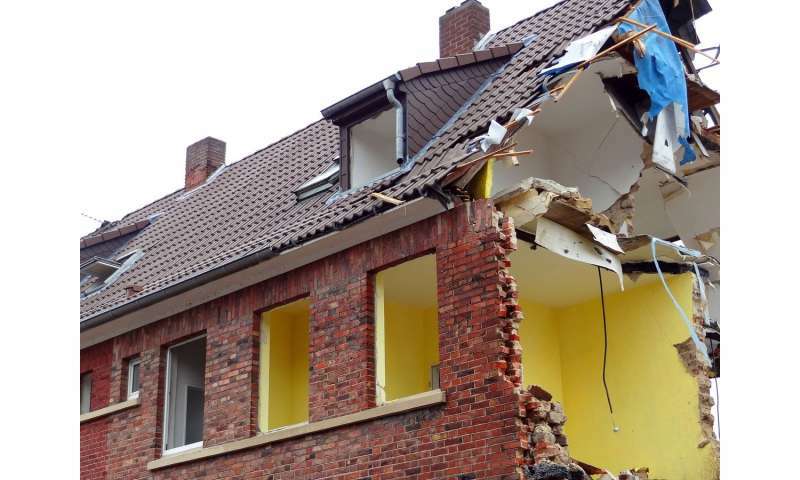 For example, houses designed with modular components that can be later removed, intact, when the house is taken apart and upcycled or reused in a new building more easily. Professor Marcello Colledani, Associate Professor of Manufacturing Technology at Politecnico di Milano in Italy, said a second approach is also vital—working closely with companies who could potentially find a use for upcycled materials. He is the project coordinator of FiberEUse, a cross-EU collaboration that is aiming to prove how carbon fibre reinforced composites from sectors like construction, transport, and energy can find new uses when they reach their traditional end of life. FiberEUse is developing a range of value-added products, such as sports equipment and car components, out of glass and carbon fibre-reinforced polymer composites, to demonstrate the financial viability of their reuse. 'At the project's end we'll develop a physical and digital library of products, which we will showcase at events like Milan Design Week, and with the building, car and boating industries,' said Prof. Colledani. Among the approaches being developed by the project is one that uses mechanical recycling to create new sports and creative goods, such as 3-D-printed snowboard wrist braces or interior design pieces, from construction and consumer composites. They are also using pyrolysis of old wind turbine blades to create new automotive components, and are even developing methods to repair and remanufacture the lightweight carbon fibre components found in most modern cars. 'The big challenge of this project is being able to innovate from different directions and demonstrate that reuse of composites is possible because it is economically viable,' said Prof. Colledani. While the FibreEUse consortium started work on these demonstration projects last year, the project also has another key focus—an online cloud-based platform to facilitate a circular economy market for composites. They hope this will help to ensure both continuous supplies of waste composites from various sectors and also a market for the final products that can be produced. 'The problem is often that different sectors don't speak to each other, even if they use common materials and have the potential to create circular value chains,' said Prof. Colledani, who hopes that the transparency it could provide will open up the possibility of novel business partnerships.